Recipe for delicious crunchy biscuits, quick to make and suitable for any occasion! 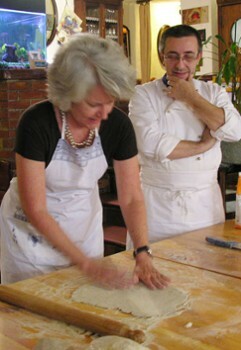 If you want to participate in a live lesson with our Chef, come to Crotto Gittana, on Como Lake. Of course, you’ll taste all the dishes made! Look on each lesson for more details about the menu and no. of participants that are still available. 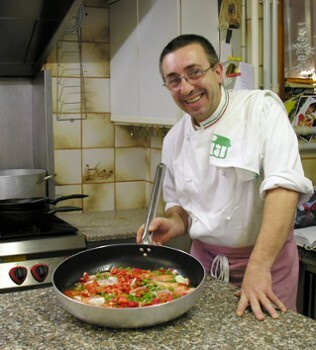 Moreno, our chef will show you in simple and easy stages how to prepare delicious dishes. A fluent English speaker, his lessons are enlivened with stories and anecdotes and the morning rounded off with chef and students alike seated around the dining table laden with the dishes made earlier. Where requested, transport from Varenna to the restaurant between 10.00 and 10.30 am. Around 11 am the lesson begins. For those without their own transport, a lift is available back to Varenna or to Vezio Castle - the chef’s own recommendation. Buono! 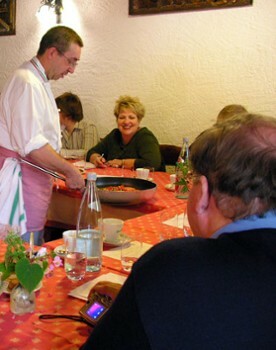 Learn to cook authentic Italian dishes. Nearby Things to Do include: Hikes & Walks such as Varenna Walk of Lovers and Sentiero del Viandante; Parks & Gardens such as Villa Monastero Gardens and Fiumelatte; Museums such as Civic Museum of Ornithology and Natural Sciences and Villa Monastero Museum; Water Activities such as Riva di Gittana Beach and Nautica Service Boats 2 Rent; Towns such as Varenna and Bellano; Churches such as San Giorgio and San Giovanni Battista.